In 2004 it was announced that the remains of twenty-eight early humans found buried at the bottom of a cave shaft in northern Spain may have belonged to a group that died suddenly in a 'catastrophe'. Experts conducted an analysis to determine whether it was likely that the bodies had accumulated in the shaft over the span of many years or were dumped at the same time. They concluded that the 400,000 year-old death chamber may have held the victims of a disease outbreak or a massacre. The study details were published in the Journal of Anthropological Research in 2004. The researchers, led by Jose Bermudez de Castro, co-director of the Atapuerca excavation, were unable to determine the cause of death, but what did seem increasingly clear was that the death of these people could have been simultaneous. The remains were recovered from a fourteen metre-long shaft called Sima de los Huesos (the pit of bones) in the caves of Atapuerca, near the town of Burgos. Atapuerca contains one of the richest records of prehistoric human occupation in Europe. The bodies in the pit belonged to Homo heidelbergensis. 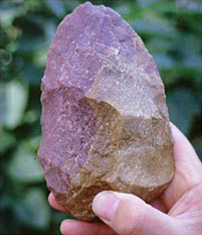 Most accept that this species was the common ancestor of the Neanderthals and modern humans (Homo sapiens), At the time Professor Bermudez de Castro took the opposing view, believing that it was ancestral to the Neanderthals alone, which in Europe is true, as the population of Homo heidelbergensis was divided in two between Africa and Europe by the coming of an ice age. However, exactly how the bodies came to be deposited at the bottom of the shaft has always perplexed and intrigued those researchers that have excavated the site. Professor Bermudez de Castro and his colleagues considered whether the remains in the pit fitted an attrition profile, in which individuals die one by one over long periods; or a catastrophic one, in which the dead cover the age spectrum of a population. Natural disasters, violence, epidemics of diseases such as influenza or bubonic plague, and occasionally famine can be responsible for catastrophic mortality profiles. The team compared the mortality profile of the Atapuerca remains with twenty-six other Homo heidelbergensis hominid remains from across Europe. The proportion of individuals between the ages of eleven and twenty was 64% compared with just 39% for the other European sample. This corresponded best with a group of people who all died at the same time - a catastrophic profile. The only problem with this model was that there were no infant deaths at the site. Even so, this was certainly a more rational model than the attritional one. Other scientists have suggested that carnivores could have removed the bones of infants, although this is difficult to prove. Dr Andrew Chamberlain, a biological anthropologist at the University of Sheffield, UK, agreed with this broad assessment of the mortality profile. He noted that this profile was very similar to the kind of one seen in conflicts, with people who fight and die in battle; the result is such a peak of mortality involving teenagers and young adults. However, in the young age group seen in the shaft there were more females than males. With combat mortality, the deaths are nearly all males. The other way to achieve this age profile is in deaths of non-combatants. For example, the 7,500 civilians who were killed at Srebrenica in the former Yugoslavia delivered the same age profile. Perhaps one group of hominids attacked another, with very large numbers killed. This is unusual in hominid skirmishes, though. And the problem is increased because not enough is known about the social behaviour of these early humans. 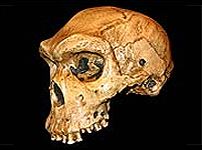 Professor Bermudez de Castro predicted that it would be difficult to progress further with efforts to understand how the Atapuerca hominids died. Skull 5 had a serious infection in his face. It is possible that he could have died from it, but the truth is that no one knew for certain. There were also signs of trauma in other individuals and it was possible that these traumas caused their deaths. But it was very difficult to give these people a death certificate.